Whether we’re playing a Beethoven sonata, improvising a blues solo, singing a love song, or dijing, the ability to “hear ahead” is important to cohesive and expressive music making. There’s no magic amount of time a musician needs to hear into the “future”, but a rolling aural snapshot of the next section, phrase, lick or even note is important to playing or singing music. Almost everyone does this intuitively--it’s how we communicate ideas through speech. Musicians hear ahead to anticipate what comes next and prepare technically and musically to play as they would like to. We hear ahead when we improvise and it’s also a key element of memorization--thinking (hearing) ahead. 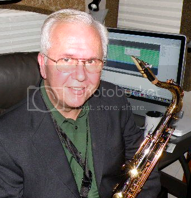 Check out Gerald Klickstein’s insightful and methodical blog The Musicians Way. He describes and outlines a practice of “feeling ahead” of which hearing ahead is a key ingredient. Hearing ahead informs the musical sensibility which informs the physical gesture which creates the sound. Try it--sing or play some music you know (even just a simple melody) and be aware of the “sound” in your head--your mind will “play” what comes next before you actually sing or play it. Developing awareness of hearing ahead and honing our ability to do so helps us perform more effectively. Our creative self has a flash (however long it might be) to determine how we’re going to play or sing what’s next. It’s especially helpful to have a teacher or coach guide you and organize your progress as you expand your ability to hear ahead. The teacher will integrate hearing with feeling ahead and anticipating/formulating gestures before you make them. Sing or play a song or piece you know. With each passing phrase, be aware of the next phrase and its sound in your mind. Did you realize that you already do this? Try hearing farther ahead--longer “chunks” of music to come. Do you find it helpful, confusing, distracting...? Do you find a “sweet spot” for how far ahead you can hear effectively? Does it vary depending on the music or upon...? Now apply your imagination to an upcoming phrase. Experiment with different creative interpretations. Be aware of the role of hearing ahead while acknowledging each passing moment with curiosity. See Gerald Klickstein’s post “Mental Imaging” which puts hearing ahead in the context of practice, performance, and creativity. It’s never too late to start. If you’ve never taken lessons at all, beginning as an adult can seem a daunting task. While it is like learning a new language, time, persistence and patience will bring you to your goals. 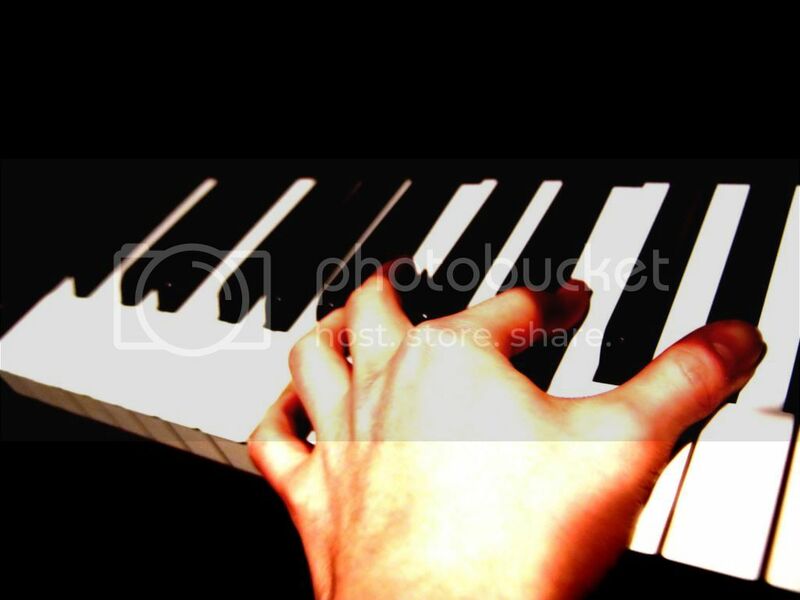 A qualified teacher will help you find music that is beginner level but geared for adults. Find a good fit for a teacher. Don’t compare lessons now to your music classes back in high school. You may have had a demanding band director who wanted all the students to be music majors in college. Now you have more options and you know what you want out of music. Maybe you were a music major in college and now have the time to get back on track. Define your goal and find a teacher who is in tune with it. If they’re doing what you hope to do, they’ll be more adept at showing you how to do it. It’s good for you! When you play an instrument, you are using your ears, eyes, fingers, hands and arms, If you are a wind player, you are using lips and tongue as well as the respiratory system. Feet and the whole body often come into play also. 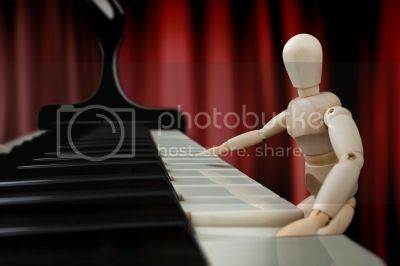 Playing an instrument requires considerable physical activity. Do a quick online search for “Music Brain” and see the many articles written about how music strengthens the brain. The neural pathways between the body and the brain become strengthened making other mental tasks easier also. This is especially helpful to an aging brain to help sharpen concentration and alertness. Accept the challenge. While a child often has little choice about taking lessons, it is easier for an adult to give up when they encounter obstacles. Remember the old adage, “Anything worth having is worth fighting for”? That certainly holds true when studying music. It’s WORK! You are building muscles as well as coordination. Sometimes the progress is slow. Accept this fact and work with your teacher on strategies to help you overcome those obstacles. Enjoy the accomplishment. The primary use for music is it’s enjoyment! Find an outlet for your growing skills and enjoy the sense of accomplishment that goes with it. Most communities have musical groups that are open to non-professionals. Churches are also a great place to find an outlet. If your goals are more on the professional level, look for groups that are holding auditions, if only for the experience. Or, you can start your own group with other like-minded musicians and look for an appropriate venue. If you have something worth sharing, you’ll build an audience as well as your own sense of confidence. [PRO-TIP] Get a Metronome. Today. Human beings have this knack for tricking ourselves into believing we have something all figured out. One of the biggest obstacles this little quirk presents to musicians is that we don't always have the beat figured out. We slow down or speed up when it’s convenient. We may even cut beats out of a song entirely, usually remaining blissfully unaware of the fact. A metronome is the silver bullet cure for this problem. Be warned, though; it’s your worst enemy as well as your best friend. The metronome won’t be reasoned with and won’t stop making it painfully obvious when and where you’re butchering the rhythm. Sound like a pain? It kind of is, but metronomes ultimately fine tune one’s sense of beat and makes your rhythm tighter and more precise. As they say, no pain no gain. 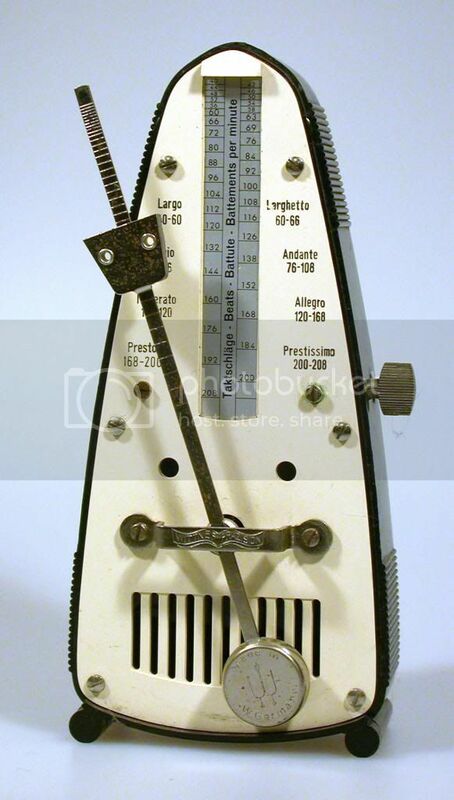 I prefer a mechanical metronome with a wind up crank for general practice. Sure, electronic ones are a bit cheaper and a metronome app will do in a pinch, but having the visual advantage of seeing the pendulum conduct you as well as the satisfying tic-toc (as opposed to a harsh beep or phony sounding woodblock) makes it seem more soothing somehow. Jason Campbell is a voice coach and piano teacher who blogs about all things music at IvoryMan. Book a lesson with him on The ZOEN or follow him on Facebook. Do you play the music I want to play? Is the instrument I'm learning your Major instrument? Are you a career educator? Ask these questions and you'll be well on your way to finding your one-of-a-kind music teacher! And remember to ask for a free trial lesson whenever possible. Finding the right teacher is an invaluable step in your progress as a musician! With access to so many electronic devices today, both teachers and students have a multitude of ways to learn and collect information. One of the best apps out there for collecting and organizing a lot of varied information is Evernote. Evernote is a cross-platform and multi-device compatible note-taking app that allows for text, image, audio, and file notes to be saved. With numerous features helping in organizing and finding the information you want in your collection, Evernote is one of the top note-taking apps available. So let's look at some ways both music teachers and music students can use Evernote to aid in their studies. While print magazine sales are down, they are not gone. Picking up the occasional copy of Guitar World or Electronic Musician is helpful. It used to be teachers might loan their magazines and books out to students, but we're well into the digital age now so let's update that approach. With Evernote, you can upload scans of magazine articles/book chapters or use the Evernote Web Clipper to save webpages to your account. Evernote runs all images through OCR (optical character recognition) software to make text within images searchable. This means finding all saved articles pertaining to a specific subject is easy. With Evernote though, we can take it a step further. You can instantly bring up any of these articles on your computer, tablet, or phone as long as you have an Internet connection. You can also share saved articles to specific students for their usage at home. To further add to your organization options, Evernote includes tagging so you can create and filter notes using tags. There are web apps and software you can download to your tablet or computer to help manage student information and notes on each lesson. But most of these cost a good bit either up front or as a monthly fee. Instead, give Evernote a try. There are many ways on how you handle it, such as a notebook called Students which contains other notebooks for each student. My preferred approach is to have a note per student with a table that I use to track what is done each lesson and what is next on the agenda. No matter how you use Evernote to track your students' records, you have access to them on multiple devices and can even share the notes with each student. You could use a URL shortener like bit.ly to create a standardized link like bit.ly/FirstNameLastNameLessons to link to each individual student's note. This would make it easy to share with the student and they can view the note in any web browser. Maybe instead of tracking a student's progress as you go, you prefer the traditional "lesson plan" approach. Or you might just want to create a progress checklist to create milestones for the student. Make the plan for each student and share it with him or her. This is probably one of the best uses for Evernote in regards to us music teachers. While using a spreadsheet with fancy formulas may make some things easier, sometimes we want something simpler or just want something we can access on the go. Creating a table in Evernote to track payments as a whole or by the individual student let's you access it readily to make sure you are getting paid like you should. If you're the type to provide written receipts to students, then snap a quick picture of each receipt into Evernote and have an archived copy of it. I already mentioned that Evernote lets you load in images, which are then run through OCR software. It's not restricted to printed text though. Try in on your handwritten notes as well. Even if it can't recognize your squiggly writing, it is an effective way to archive the notes you create on the fly during a lesson. Maybe you're a student in a group lesson? Take a picture of the whiteboard and save it to Evernote for later reference. Not only can you save pictures and files into Evernote, you can also take audio notes. This is very similar to the portable voice recorders that were used. You could have the student play a piece and record the audio into Evernote. Then later you can pull that recording up to show the student how much they have progressed. One thing to note however is that the audio quality is going to be low in order to maintain the "note" style saving. Evernote is an app that many people find to be indispensable after they first try it. While I have only mentioned a few ways to use it with your lessons, from tracking progress to just saving useful articles and tips, Evernote's uses are vast. The more you try to incorporate Evernote into your routine, the more uses for it you'll surely find. James Higgins is a songwriting coach, performing guitarist and music teacher with 14 years of experience. Check out his blog Unveil Music to get the inside scoop on being an independent musician or book an online lesson with James. Anna Fagan has been teaching music for over 35 years. She has worked with students as young as 4 and as old as 99. Her goal is simple: get students playing and performing the music they love. Q: How did you first come to learn your instrument? Who/what were your early musical influences? A: I began my keyboard studies at the organ, when I was about 7 years old. My teacher played in local restaurants, so taught me a lot about using chords to improvise, experiment with registrations, and create medleys of pieces. I didn’t play the piano until I got into Junior High, and decided that I wanted to accompany my Chorus. Q: Did you take music lessons? Who was your most influential teacher? A: I took organ lessons in Elementary School, and then changed teachers and focused primarily on the piano. ALL of my teachers were influential to me – they were all very supportive of my love of a great variety of musical styles. The discipline required to play classical music helped hone my technique for playing other genres – and my foundation (from early organ studies) in chord structure has been invaluable as a church musician. I now feel comfortable playing and teaching just about any type of music! Q: What's the best thing about teaching music? What was your most inspirational moment? A: I learn something from every student that I teach. Being able to broaden my reach through online teaching means that I get even better exposure to a wide variety of students and their unique learning styles. I especially enjoy being able to work with adults who have always wanted to learn to play the piano/keyboard, but have had trouble fitting lesson and practice time into their busy schedules. Q: What's your best piece of advice for musicians? A: Never give up, and be persistent in finding YOUR “musical voice” – pursuing the style of music that really interests you. Find a teacher who will give you carefully detailed instruction – and then be willing to put in the time and effort in following their valuable advice! A: When I get a message like the one I got tonight, from a student who “misses me, and our lessons together”. She’s only 8, and has had about 2 ½ years of lessons. 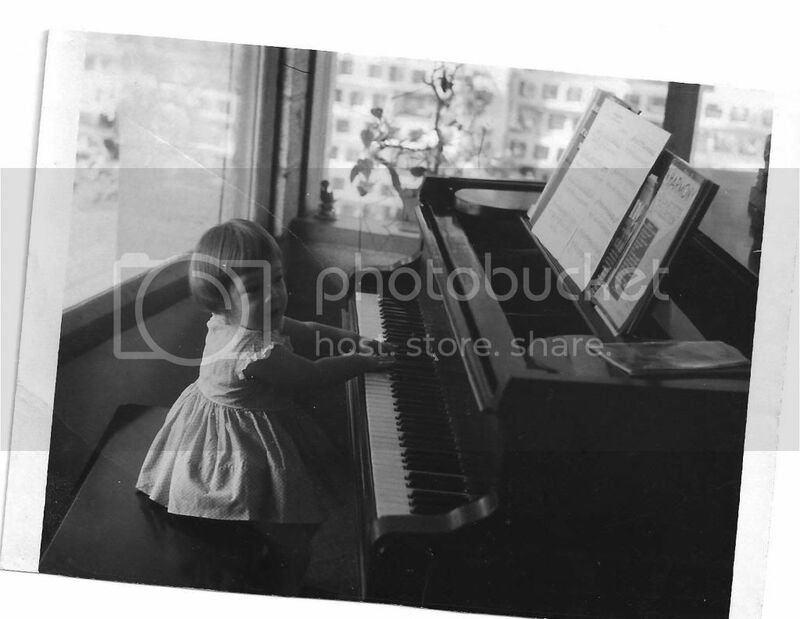 She has realized that progress at the piano is not always easy, but is definitely rewarding – and can be lots of fun! A: …that they are learning a language that speaks volumes more than the spoken word can ever accomplish. It’s a language that will speak solace to the soul of both the player, and the listener. Anna Fagan specializes in working with beginners and those "beginning again" - book a keyboard or piano lesson with her in The ZOEN. Let me introduce you to the guitar’s little friend: the capo. It’s that little contraption that wraps around the neck of the guitar and allows you to raise the pitch of the strings. This allows you to play songs using different fingerings. Or, use more Open Chords. While most of us think of the capo’s use in folk, country or church style music played on acoustic guitars. Believe it or not, the use of capos can be traced back to the 17th century. It’s a great little tool that isn’t just used to make things “easier.” Some people I’ve come across are very anti-capo, believing it’s a tool to cheat and avoid playing the harder, dreaded, barre chords. Or thinking that guitar students can’t become a well rounded player if they use such a tool. To that I say...Bahhhhh! It’s a tool. We use it to make cool sounds. Period. Some people use capos to play the same four chords in different places on the neck, transposing to different keys, all while playing the same G C D and Em shapes. Others use it to add texture to a song that has electric guitar crunch taking up all the room in the sonic spectrum. You would be surprised what you can do with this little thing. If you never used one, give it a try. If you haven’t used one in a while it’s worth revisiting to put a different spin on an old song. Try using two capos at different places on the neck and on different strings for some great altered tunings. 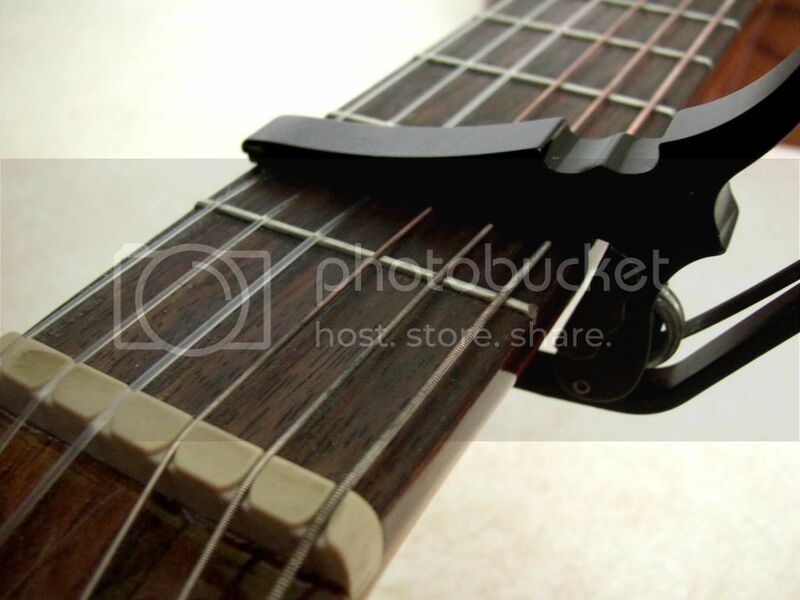 You can also check out one of my favorites, the Kyser shortcut capo, which is a small capo only covering 3 strings. Awesome, instant open tuning without touching the tuners. Here’s a site dedicated to just that. Most of all, have fun with it!!! Kyser Capos - Would you believe they sell almost a million capos a year?! Shubb Capo - These guys sell full and partial capos for guitar, dobro and banjo. Message in a Bottle - I made this video to teach how to play this Police classic the easy way. Dream On - Aerosmith made easy. If you’ve got some favorite capo songs, or videos, please share them!